New Holland has managed to set out a new standard with regards to efficiency and good performance in the utility tractors sector. This has been achieved through the T4 Series of tractors, well known for their hard work abilities backed up by an 86 to 117 HP range. Tier 4B engines of these series provide clean burning and it’s not only down to increasing the efficiency of fuel burning, but also greater power and torque are obtained. Also, there are a number of impressive features that are available on the models in this series. 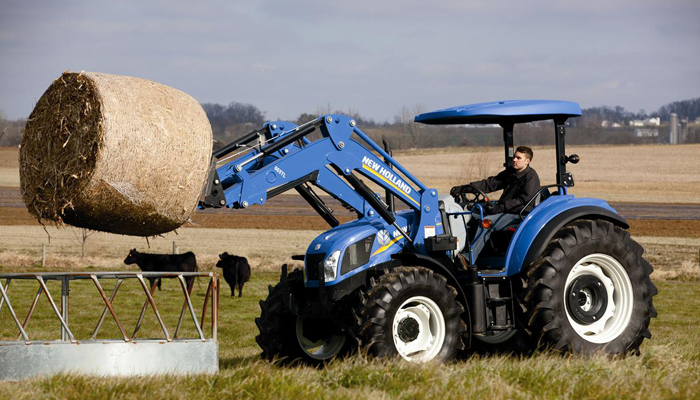 The marketing segment leader for dairy and livestock at New Holland considers the T4 series extremely suitable for farmers in the dairy and livestock domain, with needs to use different types of applications and operations while maintaining a high level of productiveness. The Tier 4B 4 cylinder engines (having 4 valves per cylinder) ensure a greater power and torque to the machines in the T4 series, while keeping the efficiency at high levels. These also have better results than the previous engines of the series, which were Tier 4A compliant. The mix of Light CEGR with Compact SCR works just fine as an after treatment system. The consequence is not only the reducing of emissions, but also a 3% increase in efficiency as compared to the above mentioned older engines. Another advantage of the T4’s is that there is no stop required for tractor regeneration, as in the case of other tractors using particulate filters. In this branch of machines, comfort of the driver is a must in order to help keeping the efficiency levels high, especially when long hours of work are required. The VisionView™ cabin is fully successful from this point of view by providing a well organized deck, with the most important controls right at the operator’s hand. In his right side, the ergonomic console gathers the throttle, hydraulic levers and PTO controls, ensuring precision and ease of use all along the process, by keeping low levels of fatigue for the driver. All the windows present provide an excellent view in all the directions. The rear ones ensure that the rear implements are easy to observe during operations while a special roof panel (which comes as an option) ensures high visibility for loaders at full height. 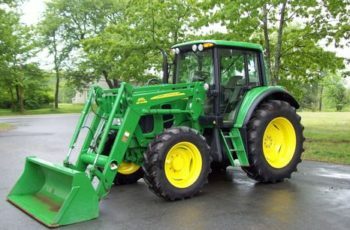 The height of the tractor is of only 2.6 meters, which is pretty small in order to allow access to lower sized building, in the light of livestock operations. This platform is available for the people who need rugged, traditional productivity, while having the same comfort at cab models level. Additionally, the FOPS compliant canopy come as an extra option for the ROPS platform and provides a rubber mat for the floor, grab rail windows, 12 volts power outlet and left fender pad. This foldable console is suitable for requirements with a low clearance. The single lever system used on T4 ROPS models, the Lift-o-Matic, gives the operator the option of setting the height and raising or lowering the rear hitch in a speedy, facile manner. The offering for transmission systems is generous and this allows every producer to customize the tractors to the best suitability for their own needs. 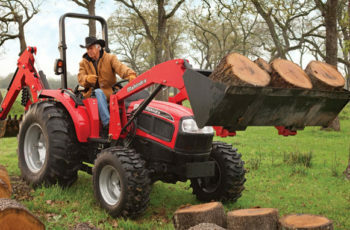 From 2 wheels drive to 4 wheels drive, mechanical to electro-hydraulic shuttles, basic PTO HP focus to comfort and versatility in all types of weather, the T4 series has them all. The column mounted lever of the shuttle is a standard feature no matter the figures for the mechanical or power shuttle. The latter comes with fingertip shuttling, having no clutch at all. There are two packages available for the customers wanting to get a 12*12 tractor in the T4 series, the standard and the utility packages. Of course, a custom selection can also be carried out. 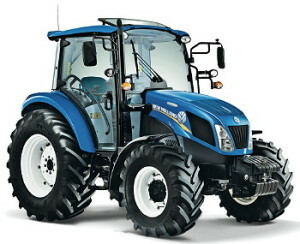 The tractors in the T4 series have the luxury of the Dual Command™, either 24*24 or 40*40 which, along with the creeper transmission and the option for HI/LO transmission, provides a low fatigue level to the operator, since the smooth shifting of the gears can be carried out without the depressing of the clutch pedal. The switch present on the electro-hydraulic power shuttle allows the operator to choose the level of engagement, be it forward or reverse, in order to get the best movement during the execution of tasks.